Happening this weekend – beginning Thursday – is the Rising Tohoku Food Fair, a fun event for the whole family that celebrates the charms and cultural diversity of the Tohoku region of Japan. The mini festival will take place August 20-23, 2015 at Mitsuwa Marketplace in Torrance. 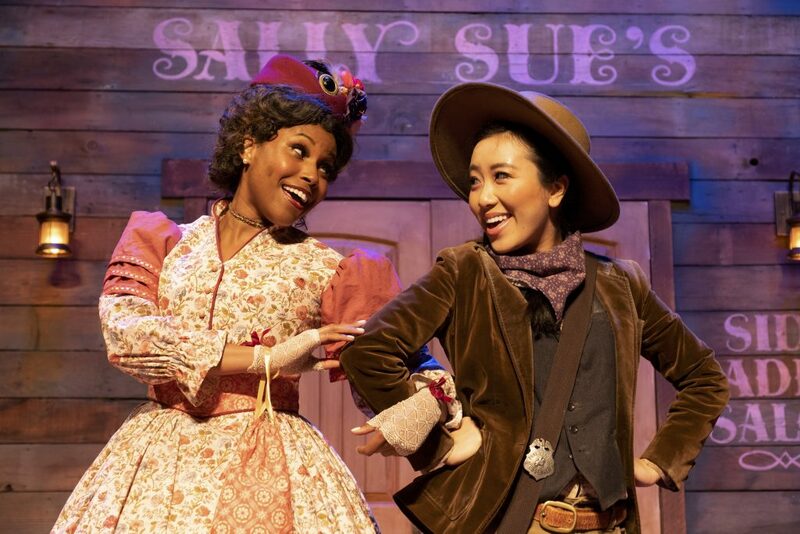 This four-day event aims to attract several thousand visitors—children and adults—to experience a variety of events, including food displays, festival and dance presentations, interacting with city mascots from the Tohoku region, and craft workshops. Geared towards Japanese food and culture aficionados of all ages, this highly anticipated food fair highlights the cultural richness of Japan’s celebrated Tohoku region through presentations of delicious and flavorful foods originating from the six diverse prefectures of Tohoku, craft activities for children and parents, colorful pageantry, and visual dances. 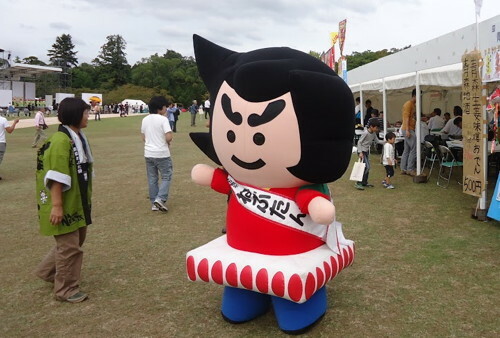 There will also be photo sessions with four well-known colorful and endearing city mascots from the region, including Musubimaru, Hanata Beni-chan, Haneton and Momorin. “We are so pleased that the Rising Tohoku Food Fair hosted by Mitsuwa Marketplace helps draws the world’s attention to the seriousness of the Japanese earthquake and brings awareness to the ongoing recovery of the culturally rich Tohoku region which has so much to offer in terms of flavorful and refined cuisine, beautiful crafts, and goodwill,” says Hiroshi Kamata, Chairman of the Federation of Six Tohoku Prefecture Chambers of Commerce and Industry (Chairman of the Sendai Chamber of Commerce), and spokesperson for the Rising Tohoku Food Fair. Last year, the Rising Tohoku Food Fair attracted over 75 participating companies and displayed over 200 food products. “We want visitors to our live event to experience this wonderful and abundant Tohoku region, as if they were really there,” adds Hiroshi Kamata. 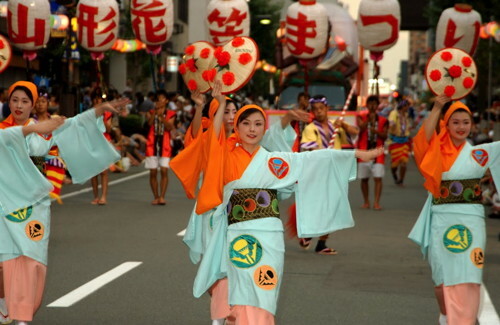 The city mascots include: Miyagi City’s iconic Musubimaru who wears a samurai costume and resembles onigiri (rice ball); Fukushima City’s adorable Momorin rabbit who represents Fukushima momo (peaches) and ringo (apples); the girl mascot Hanagata Beni-Chan who wears a cherry-patterned kimono and hanagata flower hat and has hair resembling safflower; and Haneton, an adorable pig dressed in the haneto costume worn at Aomori prefecture’s world-renowned Nebuta festival. 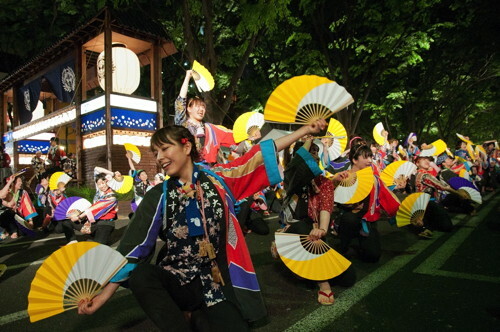 The Festival Dance Stage will feature regional presentations, including: the Da-te Busho (samurai) performance; Aomori City’s Nebuta orchestra; dances from Sendai City (Suzume), Yamagata City (Hanagasa), and Morioka City (Sansa); and appearances by various festival pageant queens. Many festive decorative items referencing city-specific festivals will be on display throughout the venue, plus pictures of other Tohoku regional mascots, and a photo exhibition of other famous local festivals within the region (Aomori Nebuta Festival, Akita Kanto Festival, Morioka Sansa-odori; Yamagata Hanagasa Festival; Sendai Tanabata Matsui; Fukushima Waraji Festival).